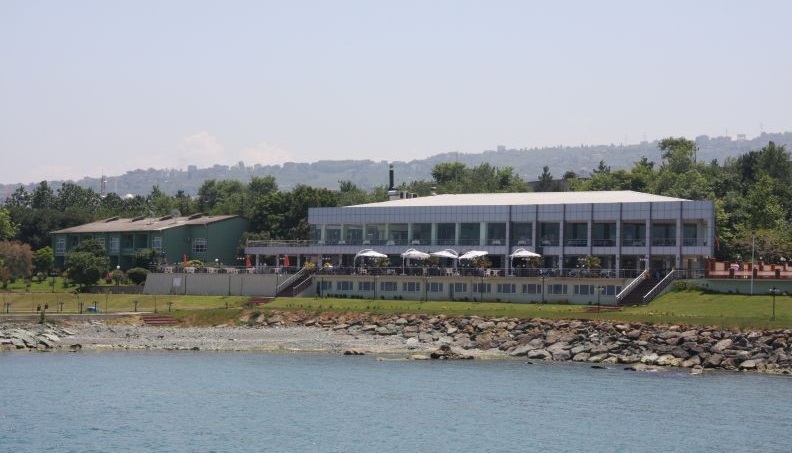 Finding food is the last thing the students of Karadeniz Technical University will be woried about. There are many places to go to for eating and socialising. A great part of the students meet their catering needs in the dining hall where lunch and dinner are served with reasonable prices. The meals here, composed of soup, main dish and a desert or fruit, are subsidised by the university and cost about 1€. 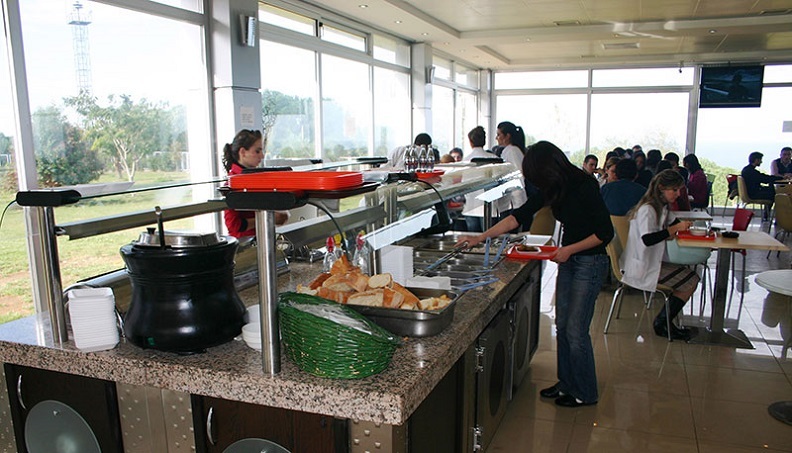 In addition, canteens and cafeterias on the main campus offer a variety of choices of food ranging from snacks to fast food to cooked meals to suit students desires. These canteens and cafeterias are located within the faculty buildings and are leased out by the university. They are closely monitored by the university administration with respect to the quality of food served, cleannes, hygiene, and pricing. The university has the right to impose fines on them should they not obey the rules and regulations agreed upon at the time of leasing. There is a shopping centre on the main campus, within walking distance from all departments and just opposite the student flatlets. This centre contains a post office, markets, souveniour and gift shops, a bookshop, a confectionary, a laundry, a stationery’s, a hairdresser, restaurants and cafes. Being a proper place with many selection of food, this restaurant is preferred by a large portion of students for lunch as well as for dinners. 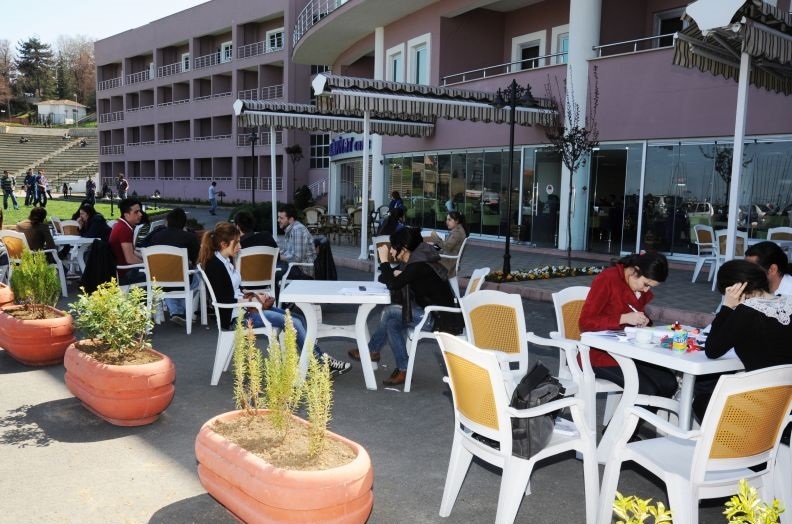 The dormitories on the campus also have facilities selling different types of food for students staying in that dormitory and those coming from outside. 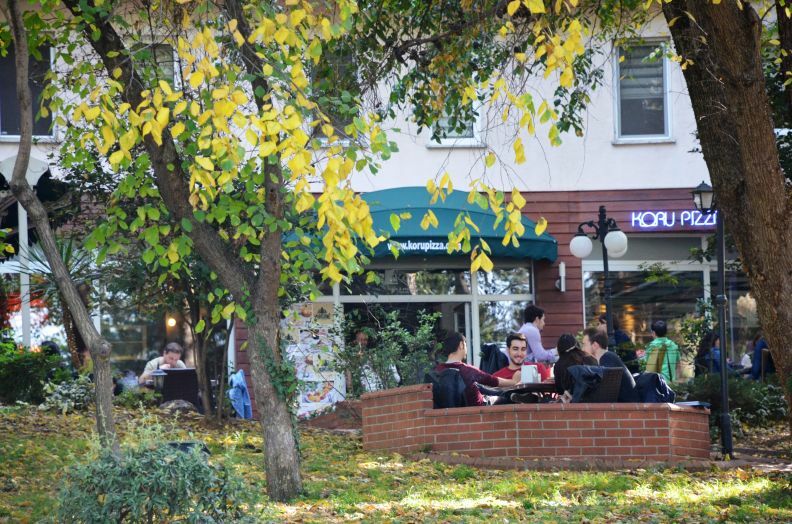 In walking distance from the campus there are also many restaurants and Forum Shopping Center, open till very late in the evening, where one can choose from a selection of many types of food. These places outside the campus also operate on calls and bring in food ordered by the students through phone-calls.